Ellen DeGeneres: DeGeneres will be one of the celebrities not eating turkey this season. In 2011, she was Farm Sanctuary’s Adopt-A-Turkey Project spokesperson, encouraging people to donate money to this organization to adopt a turkey instead of eating one at Thanksgiving dinner. DeGeneres and wife Portia de Rossi are both vegan. Oprah Winfrey: According to UsMagazine.com, Winfrey celebrates her Thanksgiving with sweet potatoes spiced with freshly pickled rosemary. She also shared her top secret cranberry recipe with the source. Winfrey keeps a gratitude journal where she records five things she’s thankful for. “I’ve learned from experience that if you pull the lever of gratitude every day, you’ll be amazed at the results,” she said. 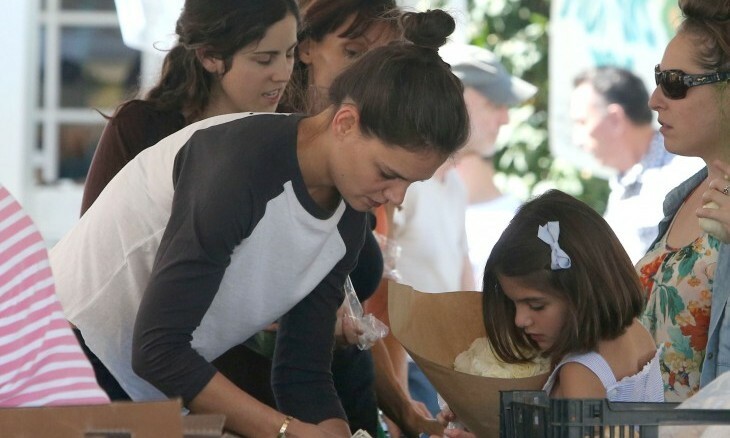 Katie Holmes: Holmes has been spending her Thanksgivings with her immediate family post-split from Tom Cruise. Holmes also runs an annual local turkey trot, according to Huffington Post. America Ferrera: The actress spends the day with her family and director husband Ryan Piers Williams. While she does her part in the holiday preparations, she says she stays away from the main event: “I don’t get very close to the turkey . . . That’s not my specialty. I let other people do the Turkey,” she told UsMagazine.com. Kirk Douglas: Many celebrities volunteer at the Los Angeles Mission on Thanksgiving, and Kirk Douglas is there every year doing his part. The 97 year-old Hollywood icon can be seen dishing up food to those in need. The charity has a center named after his wife, Anne Douglas. What are some unique ways you celebrate Thanksgiving? Share your experiences below.